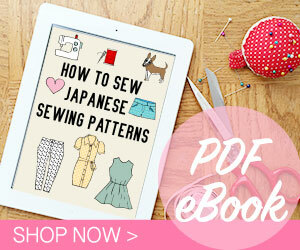 A couple of months ago, I was approached by Bootstrap Fashion to try their custom-fit sewing patterns. Unlike with other pattern companies, you don’t have the option of choosing regular sizes when buying their patterns. Instead, you put your own detailed measurements, and Bootstrap Fashion will prepare a pattern customized just for your body! Isn’t this a great idea? I always have to make petite adjustments when using sewing patterns. Other people always need tall adjustment, short waist, full bust adjustment, and other things. With this system, you don’t have to worry about all of these adjustments! Of course it is always better to make a muslin first. 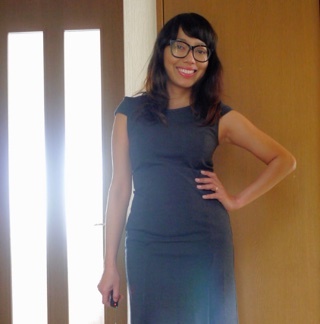 But for the sake of trying out this system, I made this dress without muslin or making any adjustments at all. This is pattern #41689 Knit Classic Princess Seams Dress With Cap Sleeves. For every measurements, there is a helpful drawing to show where to take the measurements. 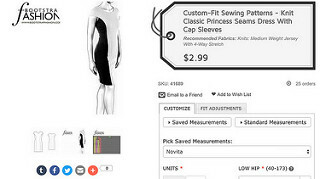 Later you can save this measurements to use on other patterns. You also have the option of using standard retail measurements. If you need further fitting adjustments, you can do so by clicking the next tab. 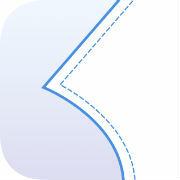 There are options for bust adjustment, waist length, upper arm fullness, and so on. The patterns can be ordered in several options of output, in PDF to be printed and in CAD format if you’d like to alter the pattern in drawing program. Pattern price is very reasonable, USD2.99 for each pattern with additional USD0.5 if you’d like to add seam allowance. Each pattern is ready within 30 minutes after the order, and it comes with written instructions. The instructions are however not very detailed. But this dress is very simple so detailed instructions are not quite necessary. The fit is spot-on on my body! The dress fits exactly like the drawing in the pattern page. I’m quite happy with this result! I think this should be the future of all sewing patterns, where people can order customized sewing patterns for all body shapes. Disclosure: Bootstrap fashion has sent me credit store to use in their pattern store. However, the views and opinions expressed are purely my own.